"Empowering Natural Resource Professionals with Knowledge and Networks"
The application period for the 2019 World Forest Institute International Fellowship Program is now closed. Please check back later for the 2020 application period. Visit our How to Apply and Fellowship Costs pages for more information. 2019 Fellowship Program dates are April 1 - October 1, 2019. 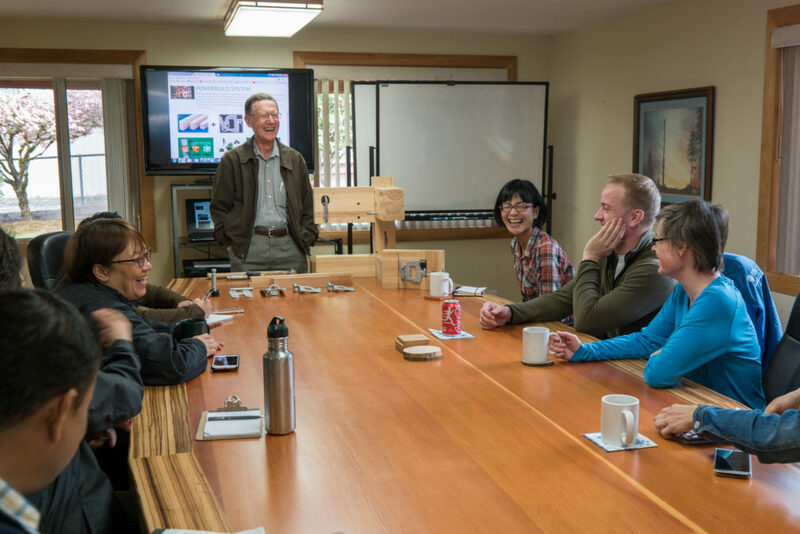 Oregon is an ideal learning ground for the program because of its rich natural resources, innovative history in forest management, an important timber sector, and academic centers of excellence in both forestry and urban forestry, as well as green building and sustainability. Fellows leave the program with a solid understanding of how the US forestry sector operates and who the key players are. Additionally, Fellows gain valuable cultural experience. Over 140 Fellows from more than 45 countries have participated in the program over the past two decades (check out our Alumni). 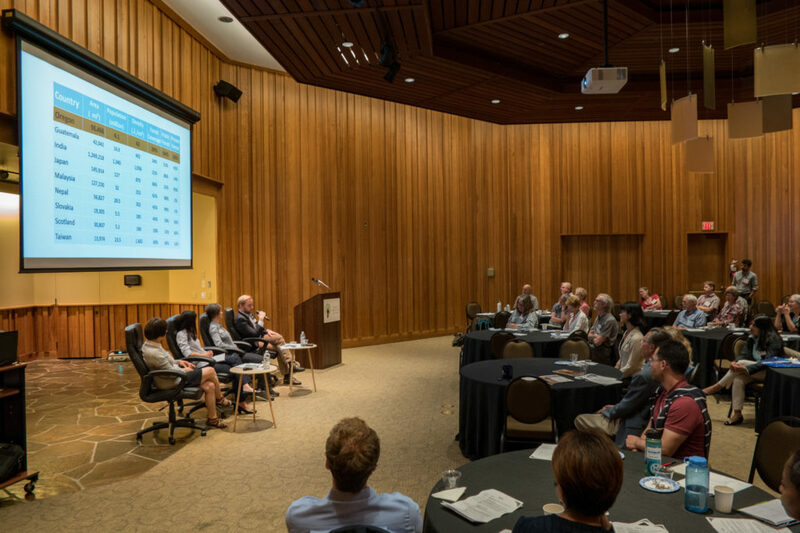 As you explore our webpages and learn more about the WFI program, one basic program component to keep in mind is that this is NOT a post-doc or other university-related type program. The research you'll do here is more about networking, making connections with other professionals, and expanding upon the knowledge you already have and work you have already done. This is a true professional development opportunity. Download our Program Basics document for more details. 40% of your time is spent on your own research project. benefit their careers when going back to their countries of origin to apply the learned knowledge. We favor proposals that are in policy, industry, or are market-oriented. Look at the final presentations from all of our alumni. 30% of your time will be spent on group and individual study tours and meetings. 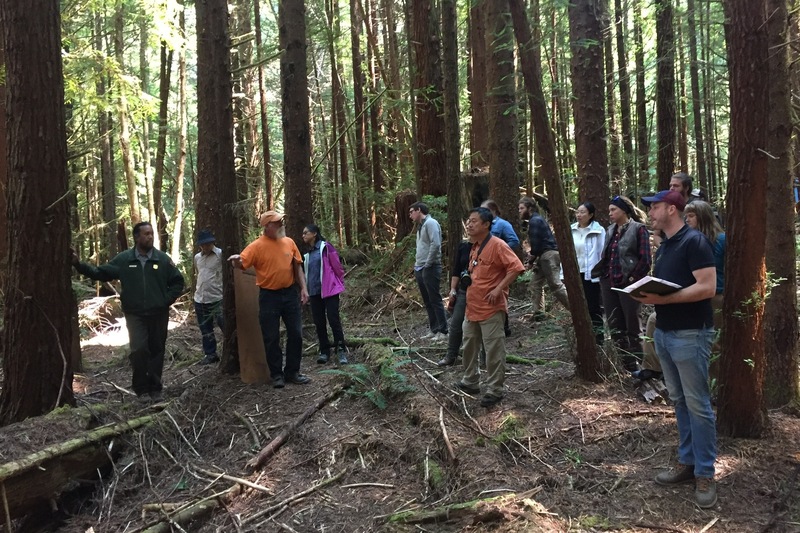 Networking is largely accomplished by site visits to forestry agencies, research labs, universities, public and private timberlands, trade associations, sawmills, and corporations. The program manager will organize approximately one group study tour per week for all Fellows to participate in. These trips are a required part of the program and can be very diverse in scope. Fellows will need to arrange their own individual meetings and site visits to fulfill their specific research project needs. Some examples of places we have visited are listed below. These change every year depending on the Fellows in the program and is not a complete list. During the summer months of June and July, there are week-long excursions. 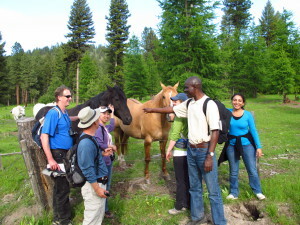 In June, Fellows spend a week in rural Eastern Oregon on a working forest ranch. In July, Fellows go to the Redwood Forest National Park for a week. There are typically several other multi-day site visits throughout the region in the summer. Read our blog detailing the places WFI Fellows have visited during their programs. 30% of your time is spent on research presentations, in-house events, and public outreach (synthesis and result interpretation). Outreach could include formal presentations to forestry professionals, the general public, or to school groups, writing articles for newspapers, fielding public inquiries, or attendance and participation at conferences and events. Learn how to apply to the program and about costs and sponsorship.